What are Remote PHY and Remote MAC-PHY? YOU ARE HERE::Home/Remote MAC-PHY/What are Remote PHY and Remote MAC-PHY? Remote PHY is technology that allows operators to remove CMTS/CCAP components and place them closer to the customer premises. 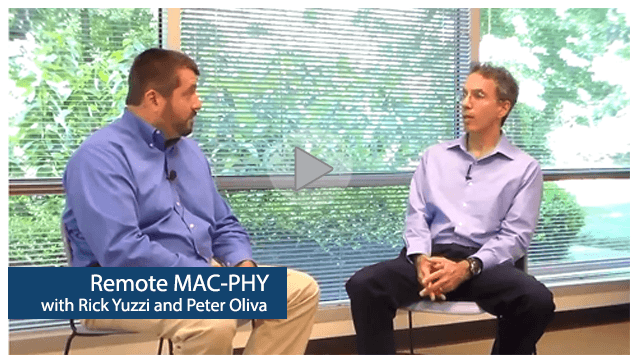 In this video, watch as ZCorum Vice President of Systems, Pete Olivia, discusses Remote PHY and some of the advantages and benefits of the technology vs. Remote MAC-PHY.